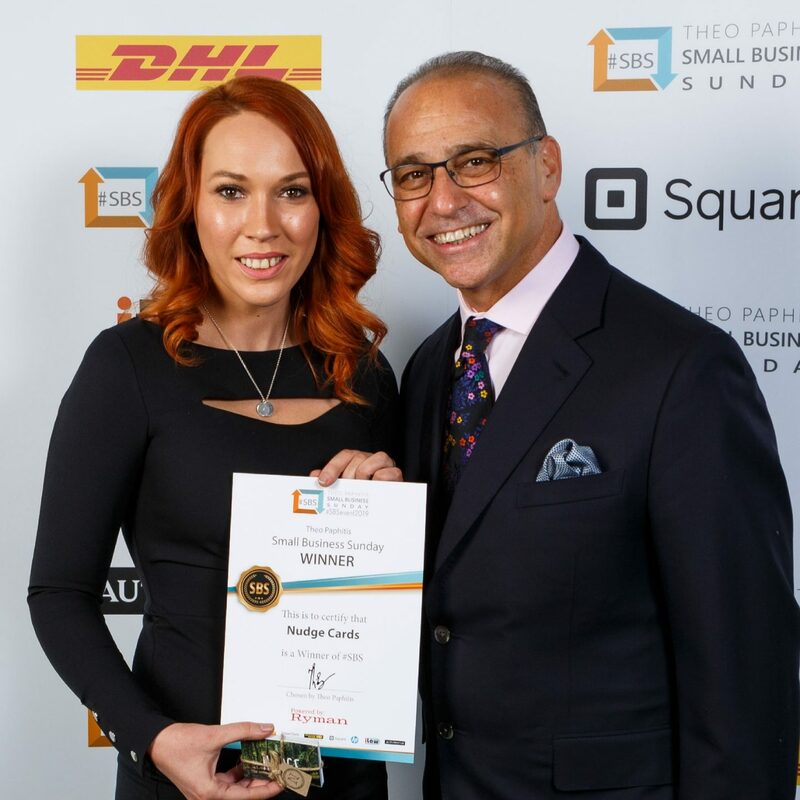 I have been meaning to write a blog post about the SBS awards last week. Honestly I came away with so much information and new found passion that I’ve been pushing myself into further research with regards to what direction to take Nudge Cards in. Just over a week later, I’ve found the head space and time to sit with a brew and write it all down. We travelled down to Birmingham on the Monday night, as the event started at 9.30am on Tuesday morning. I say we, I was allowed to invite a guest and naturally chose my husband. My biggest cheerleader and the man who listens to my endless waffle and huge aspirations. We picked to stay at the Hampton by Hilton, just a short 5 minute walk away from the ICC. After popping out for a quick bite to eat we grabbed a drink in the bar. I met a couple of other lovely small business owners too. They had attended the previous year so it was nice to chat to people who knew what to expect. We got a relatively early night, although very little sleep because my head was buzzing with excitement. The previous night, we had arranged to meet our new friends down at the breakfast bar, so we headed down. I managed half a slice of toast and a small glass of orange juice, I was just so nervous. Around 9am we walked towards the ICC, entering the foyer there were signs guiding us up to the first floor to sign in, and to collect name badges. Everyone we met was so friendly and helpful, I started to relax a little. Upon entering the hall, there were so many things to see, and information to take in. I had a 1 to 1 session with Ryman at 10.30am so we had a little bit of time to kill. It was decided to join the queue for HP who were doing professional headshots. As soon as we had finished with HP it was time for my session. I had no idea what to ask or say but straight away I was made to feel at ease. I got some absolutely brilliant feedback. All of which I am keeping under wraps as it relates to a lot of new projects in the pipeline and expansion to the business. There were then presentations from Google, and Webroot. They were talking all things cyber security, rankings, and websites. All of which was utterly mind-blowing. A lot of the stuff I had never heard of before. Having an insider from google give tips and tricks for businesses, I’m sure will have lots of positive impact in the future. We broke for lunch and more networking. My feet hadn’t touched the ground at this point. After lunch, there was a further chat from Theo himself and Sir Tom Hunter, a self made BILLIONAIRE! So utterly inspiring to hear how he made his fortune, how he lost it. And how he gained it back again! We finished for the day and headed out for a quick bite to eat before heading home again. I took so much away from the event that its taken me over a week to digest all of the information and tips I received and get it all down onto paper. All I will say is watch this space!